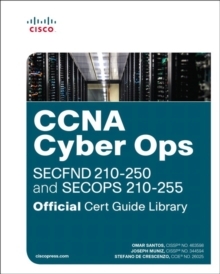 Learn, prepare, and practice for CCNA Cyber Ops SECOPS #210-255 exam success with this Official Cert Guide from Pearson IT Certification, a leader in IT Certification learning. 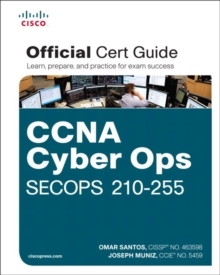 Master CCNA Cyber Ops SECOPS #210-255 exam topics Assess your knowledge with chapter-ending quizzes Review key concepts with exam preparation tasks Practice with realistic exam questions CCNA Cyber Ops SECOPS 210-255 Official Cert Guide is a best-of-breed exam study guide. 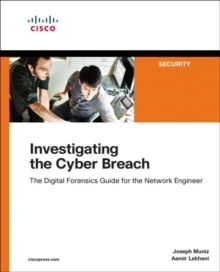 Best-selling authors and internationally respected cybersecurity experts Omar Santos and Joseph Muniz share preparation hints and test-taking tips, helping you identify areas of weakness and improve both your conceptual knowledge and hands-on skills. Material is presented in a concise manner, focusing on increasing your understanding and retention of exam topics. The book presents you with an organized test preparation routine through the use of proven series elements and techniques. Exam topic lists make referencing easy. Chapter-ending Exam Preparation Tasks help you drill on key concepts you must know thoroughly. Review questions help you assess your knowledge and a final preparation chapter guides you through tools and resources to help you craft your final study plan. The companion website contains the powerful Pearson Test Prep practice test software, complete with hundreds of exam-realistic questions. The assessment engine offers you a wealth of customization options and reporting features, laying out a complete assessment of your knowledge to help you focus your study where it is needed most. Well-regarded for its level of detail, assessment features, and challenging review questions and exercises, this study guide helps you master the concepts and techniques that will allow you to succeed on the exam the first time. 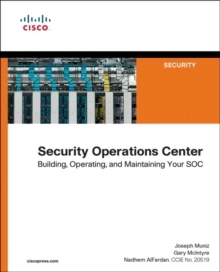 The study guide helps you master all the topics on the SECOPS #210-255 exam, including: Threat analysis Forensics Intrusion analysis NetFlow for cybersecurity Incident response and the incident handling process Incident response teams Compliance frameworks Network and host profiling Data and event analysis Intrusion event categories Companion WebsiteThe website contains two free, complete practice exams. Includes Exclusive Offer for 70% Off Premium Edition eBook and Practice TestPearson Test Prep online system requirements:Browsers: Chrome version 40 and above, Firefox version 35 and above, Safari version 7, Internet Explorer 10, 11, Microsoft Edge, Opera. Devices: Desktop andlaptop computers, tablets running on Android and iOS, smartphones with a minimum screen size of 4.7".